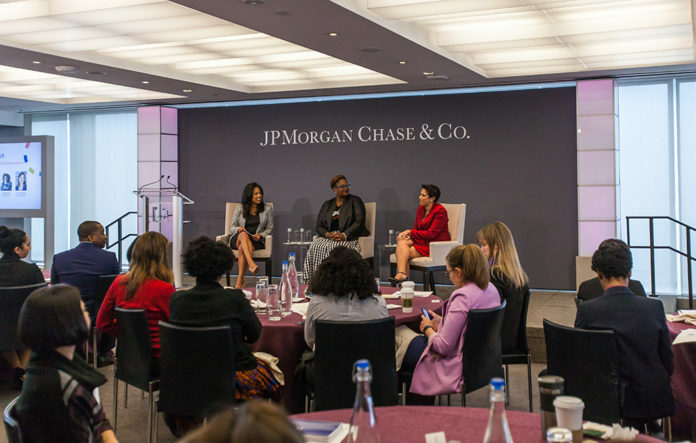 Women Entrepreneurs of Color in Tech Get $1 Million in Support from JP Morgan ChaseBlack & Hispanic and women of color tech entrepreneurs get a $1 million boost from JPMorgan Chase to fund and expand their projects. JPMorgan Chase is taking the issue to task by supporting these women where it counts. Last week, the company?announced a $1 million investment to help Black and Hispanic women-led startups thrive. This innovative, data-driven investment to build and grow underserved entrepreneurs is part of the firm?s $150 million Small Business Forward initiative to provide flexible financing and other support to underserved women, minority and veteran-owned small businesses and applying what the firm has learned from small business investments in other communities. ?Women of color have not had equal access to the resources they need to be successful in business,? said Jamie Dimon, Chairman and CEO, JPMorgan Chase. ?My hope is that our investment continues to help unlock doors for Black and Hispanic women entrepreneurs to grow and showcase their tech startups to get ahead once and for all.? Identifying gaps in venture capital by financing the second version of #ProjectDiane, digitalundivided?s proprietary research study about the state of Black women in tech entrepreneurship in the United States. The new report, to be released later in 2018, will expand the research to include Latina startup founders. “Early on, I was doing public talks in the tech space and realized there were very few women of color around. So in 2012, I started a conference that took on a whole other spirit. It was the first time there was an event of 120 Black & Latino founders,” she said. “Women are walking alpha. The smartest investment the world can make is in women of color entrepreneurs. Together with good design, intent and investment we can create a world we can all be proud of,? said Gayle Jennings-O’Byrne, Founder and CEO of iNTENT Manifesto.